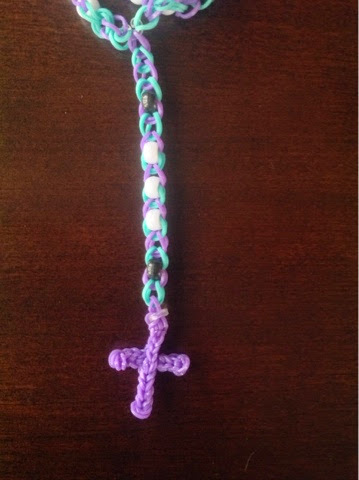 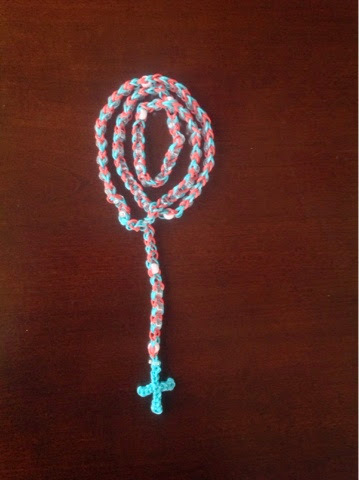 I have searched the web trying to find a Rainbow Loom Rosary and this is my rendition. 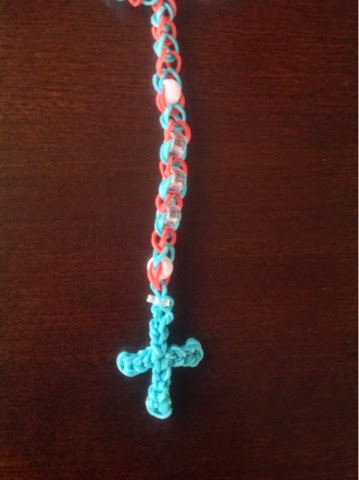 It's made with rubber bands and pony beads. 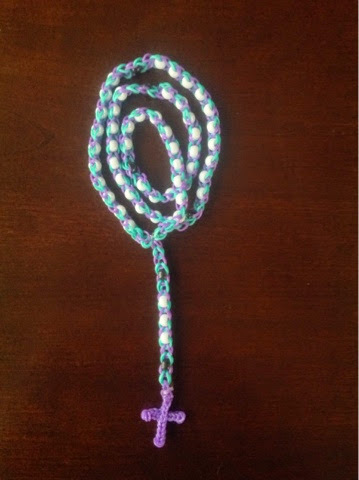 It's a very basic pattern and would be easy for kids to make. 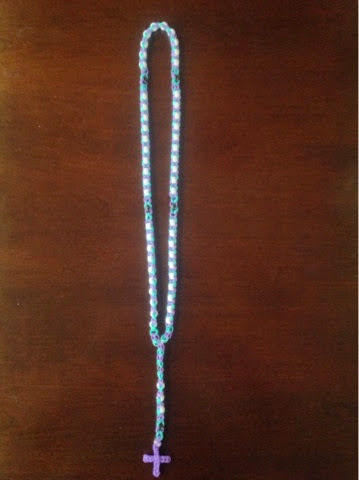 I hope to post an instructional video on it here in the near future.